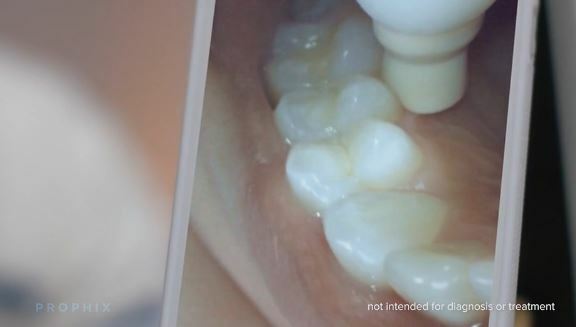 If you want the world’s most spotless cleaning without a visit to your local dentist, you may want to consider getting Onvi’s new Prophix, a new toothbrush with video camera. This toothbrush comes with a camera embedded within the toothbrush to help you get all every corner of your tooth spotless clean. You can easily pair with your smartphone to watch your teeth in real-time while brushing in the morning or even take some photos to track your progress. Sounds like good idea? Personally, I have been using the Sonic electric toothbrush for many years and one of the biggest problems with it is that I never know if my teeth are 100% clean, in fact I always tend to leave several spots, which cause buildups over time. With this new technology, it’s definitely going to help people clean their tooth more efficiently since you can see exactly going on in your mouth. Max Lee has been bloggin' since August 2006. Zedomax.com is a his own tech blog talking about everything tech. You can reach him on Twitter @zedomax. He is also the founder of HighOnAndroid.com. Previous story ASUS Announces New Zenbo Household Robot!